The groundbreaking ceremony of the Tesla Shanghai Gigafactory. Elon Musk has kicked off construction of his new Tesla Gigafactory in Shanghai, a project that could help him avoid tariffs on cars that have recently been inflamed by President Donald Trump's trade war with China. Musk gave a speech at the site of the planned $2 billion factory in the Lingang district of Shanghai at about 3 p.m. local time (2 a.m. ET) on Monday. 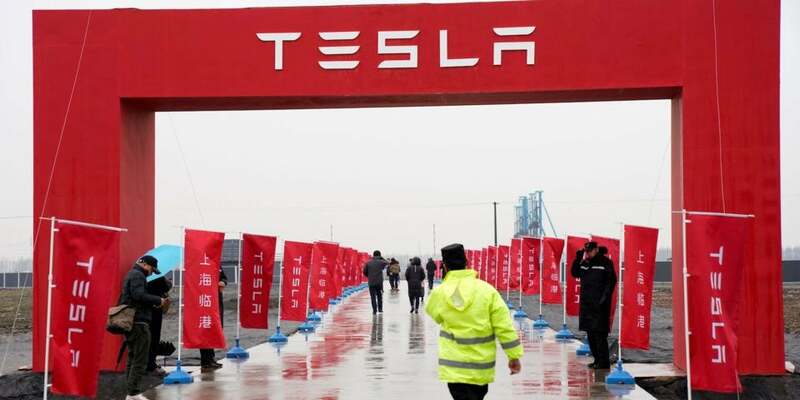 The new factory, first announced in July, could be a remedy to problems operating in China, which Tesla attributed partly to President Donald Trump's trade war. Musk said the factory would be finished by the end of 2019 and might be ready in some capacity as soon as this summer. In October, Tesla said tariffs imposed by China to counter those made by Trump "resulted in an import tariff rate of 40% on Tesla vehicles versus 15% for other imported cars in China." It additionally cited "headwinds we have been facing from the ongoing trade tensions between the U.S. and China" as a problem. Last month China dialed back the 40% tariff rate to 15% as part of the 90-day truce reached by Trump and Chinese President Xi Jinping. It will revert to 40% on March 1 unless the two nations reach a larger agreement on trade. 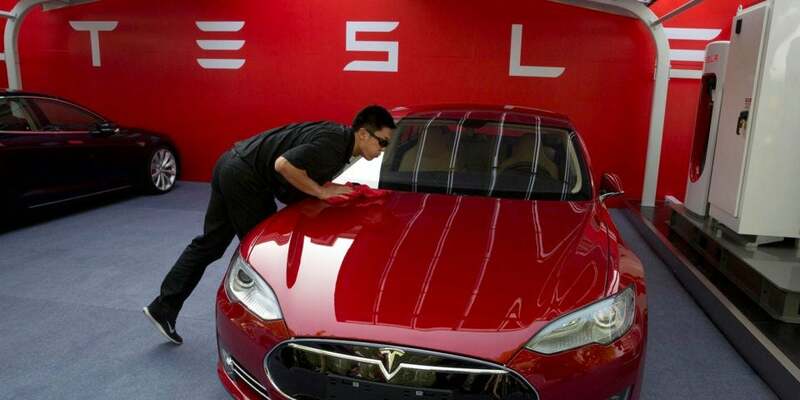 Tesla plans for the new Shanghai factory to produce 500,000 cars a year on Chinese soil. Any cost savings for Tesla will depend on what the tariff regime is when production begins. It will also hinge on the precise details of the supply chain. For example, Tesla components made in the U.S. and then shipped to the Shanghai factory for assembly would still most likely face some kind of tariff. Nonetheless, Tesla has previously said the factory will help it deal with the tariff problem. In the October statement, Tesla said it would accelerate construction as a response to the trade problems. In November, Tesla cut the price of its cars in China to balance out the cost of new tariffs imposed by the Chinese government. Musk got permission from the Chinese government on July 10 to build the factory, Tesla's first outside the U.S.
Musk says the Shanghai factory will produce Model 3 cars and will serve the greater China region. Tesla also has Gigafactories in Nevada's Storey County and in Buffalo, New York. The Shanghai factory would double the size of the electric-car maker's global manufacturing, Reuters said. Tesla has also registered a financial leasing company in China with $30 million registered in capital, Reuters reported. This will allow it to speed up "leasing and consultancy" contracts to get the factory up and running. "Aiming to finish initial construction this summer, start Model 3 production end of year & reach high volume production next year. "Shanghai Giga production of Model 3/Y will serve greater China region. Shanghai Giga will produce affordable versions of 3/Y for greater China. "All Model S/X & higher cost versions of Model 3/Y will still be built in US for WW market, incl China." China's retaliatory tariffs were imposed after Trump ordered tariffs on $34 billion worth of goods imported from China. The trade war cooled off slightly over the holiday period, with Trump and Xi agreeing, among other things, to an easing of car and car-part tariffs for three months beginning January 1. The factory will be China's first wholly foreign-owned car plant,Reuters said.